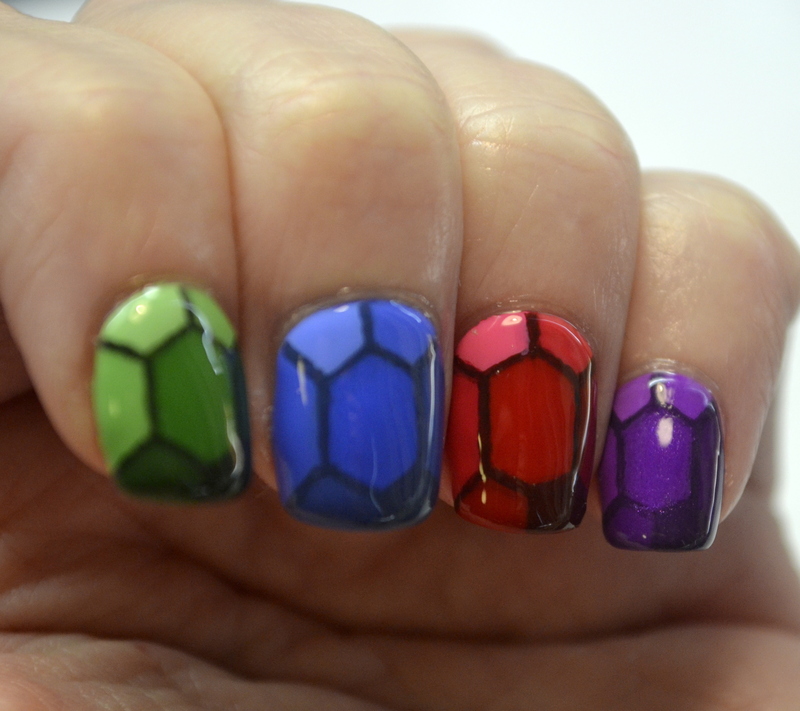 When I saw the ‘jewel’ theme for Day 20, my mind immediately went to the precious gems tutorial on Chalkboard Nails. 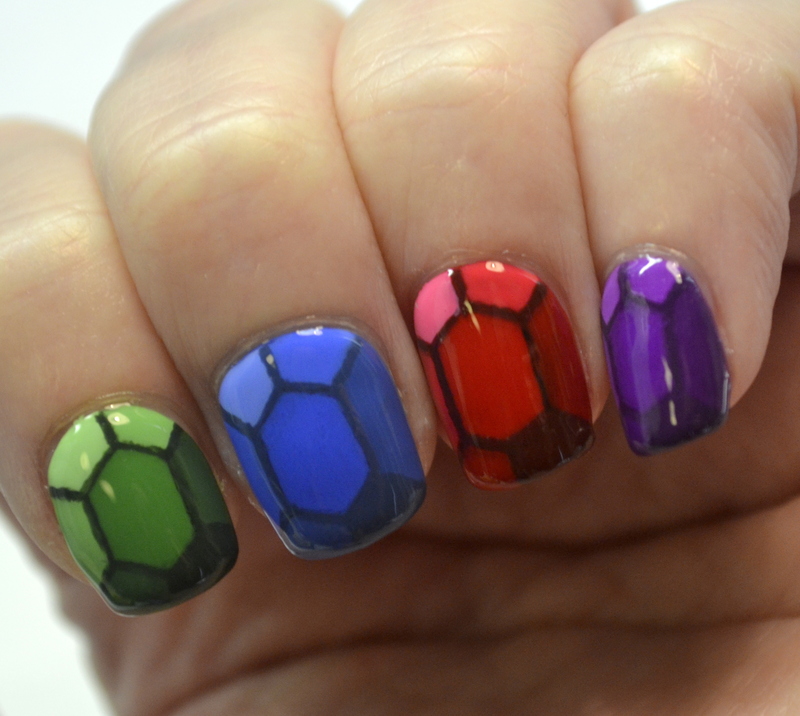 I remember that back when that nail art was first posted, I thought that they looked a lot like rupees from the Legend of Zelda games. And that’s how I chose my jewel colors for this mani. For those of you who have never played any of the games (how?! ), different colors mean different values. Green is worth 1, blue is 5, red is 20, and purple is 50. 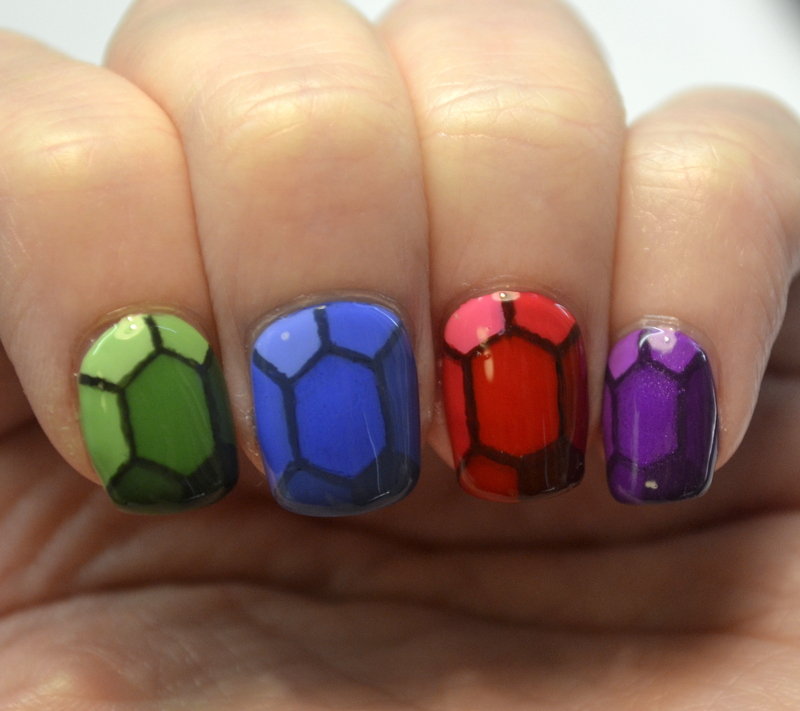 There are other less common ones too, but I chose these four for my nail art. I was a little concerned about how the final effect would look with my nail shape, but it looks pretty good! Wow this was a pain though. So much mixing! It’s the same reason I hate doing ombre manis so much. It was worth it though. They’ve got their issues, but I do like how they turned out!